There are endless variations of roof designs but most popular in Ireland is the gable double pitched or ‘A’ frame with a timber structure and an engineered slate or concrete tile finish. Similar and also quite popular is the hip roof, which has a pyramid shape (four faces instead of two). Hip roofs are less vulnerable to wind loading than vertical gables but are more complex and expensive to build. Gambrel roofs, which allow for rounded roof designs, use two different pitches; a steep pitch finished off on top with a lower one. They are popular where the roof space is to be used. 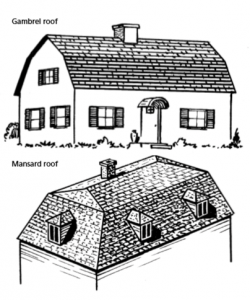 Mansard is essentially a hipped version of the gambrel with two different pitches on four sides. The lean-to, also called monopitch roof, is used in the context of extensions or to cover part of a building that has some other style of roof on a different part. The butterfly roof is a type of inverted ‘A’ design with a central valley forming a gutter gutter that is often hard to access making maintenance difficult, e.g. to collect leaves and other debris, which may cause water ingress/dampness. Conversion of the attic space is also impractical with this type of roof design, but it is attractive and dramatic to look at and for this reason is favoured by some architectural designers. The roof can be cut in the traditional way or fabricated from mono trusses. Dormer windows require their own mini roofs and great care must be given to their detailing and construction. The quality of the design of dormers varies considerably from single-skin walls clad with uPVC sheeting, to double-skin designs with superior insulation properties. The roofing of dormers also varies, with ‘A’ roofs more popular than monopitch variants. When opting for monopitch the incline should not run back towards the main roof. Before trusses became popular, nearly all roofs were cut on site from timbers, lifted up one by one and secured in position by the carpenter. This still happens for some single houses and for extensions. The timber used should be approved under current regulations for moisture content, grading and to ensure that the sizes used are strong enough for the job. Cut roofs are also more expensive than trusses due to the increase in labour and stronger, thicker, timber required. On the plus side, it’s easier to make in situ alterations for a water tank, roof openings, dormers, etc. and roof space conversions are relatively straightforward. Trusses, however, are better at coping with wider spans. Trusses are essentially frames, each consisting of a pair of rafters, ceiling joist, ties and bracing, made up in single units spanning the width of the house. Roof trusses use much lighter-weight timber than traditional cut roofs and are held together by metal plates. Their appearance may look very flimsy compared with traditional cut rafters, but they are engineered to do the job and they do it well using the principle of triangulation. Trusses often rely on a web of diagonal members and supports, leaving little useable space in the attic. Each member contributes to the structural integrity of the truss and therefore can’t be cut or altered. This is why a roof space conversion is rarely possible with trusses unless they were designed for this from the outset, which tends to increase cost significantly. The trusses are usually made of timber and are pre-fabricated off site by specialist manufacturers; metal trusses were popular for a number of years and are still available. A great advantage is that all the engineering calculations are done by the manufacturer so the trusses can simply be installed on site quickly and easily without any worries about structural integrity. They are delivered, lifted into position and fixed in place by your carpenters in accordance with the drawings supplied by the manufacturer. The carpenters then fit both longitudinal and diagonal bracings (sometimes called chevron bracing) to the frame to strengthen and stiffen it. Next comes the sarking felt (weatherproofing membrane) followed by the battens and possibly counter battens to which the sheeting material (e.g. slates, tiles etc.) is fixed. The battens add to the strength of the roof which will have been included in the design calculations. The trusses must be fixed properly to a timber wall plate, which in turn must be secured by galvanised metal straps at regular intervals secured to the wall. Traditionally, wall plates were attached to the wall by bolts, a method still employed by some roofing contractors in addition to the straps. Wind uplift is a concern for roof designers and much of the performance of trusses (and other roof designs) is down to how well the roof is secured to the building, which is a site issue rather than a design one. Self-builders should be aware of the ‘rules of engagement’ with trussed roofs. Since the trusses are manufactured specifically for the project and are not a ‘stock’ item, the dimensions you supply to the manufacturer must be spot-on. Changing your mind can be very expensive. 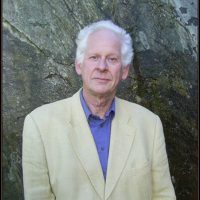 Some manufacturers send a representative to measure the house once the wall-plate is on, or even earlier – perhaps when the wall construction has been commenced all round. The weight of both the trusses and the final roof-covering material, necessary overhang, along with the wind-loading, pitch, span and other features must be calculated and compared with the strength of the supporting walls. The manufacturer will supply a set of drawings showing the exact location of each truss as a constituent of the overall design. The trusses cannot be cut on site or their integrity otherwise interfered with, a significant point should you wish to alter – even slightly – the positions of roof windows, dormers or chimneys after the trusses are located. The location within the attic of water storage tanks should be notified to the manufacturer at tender stage, so this can be incorporated into the design. Where change is unavoidable, the truss manufacturer should be consulted and the modifications sanctioned by them, prior to any work being carried out. This will ensure that the guarantee supplied by the truss manufacturer remains valid. A point to remember when ordering roof trusses is their separation distance, which will be copied by the ceiling joists. Typically this distance is 600mm in the case of trusses, while many cut-roofs will have rafters and joists at 450mm. If you are using plasterboard the 600mm distance should be fine, but counter battens at reduced distances may be required for some more specialised sheeting in which case additional labour and material costs will be incurred. For truss manufacturers delivery can be a headache. The maximum truss length that can be transported is approximately 12m and the maximum height 4 to 4.5m. Headroom (bridges, over-head cables etc.) on the roads between factory and site may result in each of the trusses coming in two parts, which will then have to be nailed together on site by your carpenters. This is usually only a problem with very wide or steeply-pitched trusses and the manufacturer will identify this when presented with the design. You will also need to ensure, in advance, that there is adequate clearance on your site’s access road. Roofing contractors normally charge extra to fit two-part trusses so check this out at tender stage. If the roof design features a number of small intersecting roofs, for example dormers, the truss manufacturer may omit this from the tender, inserting phrases like ‘By Others’ or ‘By Main Contractor’ in the quotation. This is likely to result in the roofing contractor seeking remuneration for the extra work in cutting and fitting these small sections, and of course, somebody will have to buy the timber required. Finally on the subject of trusses, on-site storage is very important. Ideally, trusses should be lifted from the delivery truck onto the roof, and installed immediately. If they do have to be stored on site, they must be stacked correctly (on their flat), on bearers and on level ground, to prevent warping. The trusses must be covered with a suitable material to prevent the ingress of water, damp and to protect them from the sun. If any of these problems do occur, you and your builder are on your own, they are no longer the responsibility of the truss manufacturer. 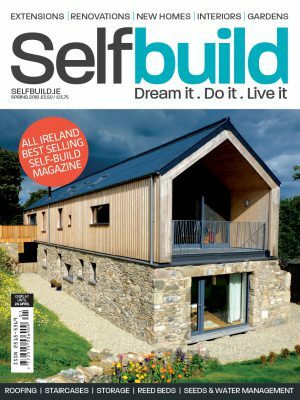 Structural insulated roof, floor and wall panels are a relatively new concept in Ireland but very popular on the continent. Known as SIPs these panels are supplied 1.21m wide in 7.45 m lengths and 150mm (with 112mm insulation) to 300mm thick. They are made using rigid urethane insulation sandwiched between two structural skins of oriented strand board (OSB) or other board. They use less timber and are more energy efficient than timber frame panels with a basic U-value of 0.2W/ sqmK. Lower values are achievable with an additional layer of insulation. The panels are joined together using a sealed jointing system that minimises the amount of air that can pass through the joints, thus making the home extremely air tight. 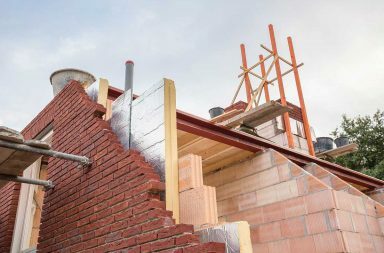 The design of the panel joints means a more continuous layer of insulation in the roof and walls, they are very quick to install and, with the addition of a breather membrane, form a weathertight shell, enabling you to start other parts of the build, such as tiling the roof, immediately. A high quality of finish is guaranteed. 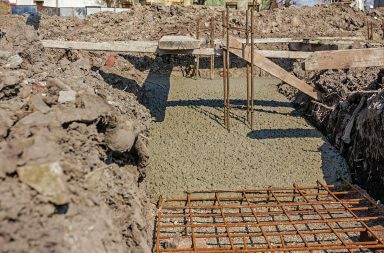 Insulating Concrete Formwork (ICF), whereby an insulating formwork is put in place and concrete poured into it, is possible for roofs as part of an overall (walls, floors) ICF build. Anything steeper than 10 degrees and less than 70 degrees is classed as a pitched roof. Achieving a successful design requires careful thought because the choice of finish puts constraints on what can and can’t be used, especially with lower pitches. The roof finish manufacturer will specify the minimum and maximum pitch required to ensure weatherproofing. Typically roof pitches in Ireland are in the 30 to 40 degree range to repel the rain quickly from a slate or tile covering and provide some degree of practical attic space for storage. A greater pitch is likely to make the house look top heavy. Flat roofs are becoming increasingly popular for extensions with finishing materials including copper, zinc or lead, torch-on felt, PVC sheeting or liquid asphalt mastic. Many contemporary roof designs for new houses also include nearly-flat roofs with a shallow monopitch. A slight fall in the flat roof, usually just short of 10 degrees, is essential to allow for water run-off and to prevent ponding (the build-up of little pools of water after a shower or heavy rainfall). Flat roofs can be aesthetically complemented or even concealed from ground level, with the strategic use of parapet walls. Great care must be taken with the insulation and weathering to prevent ingress of water and resulting damp in the living space immediately below. The deck of a flat roof can be constructed from metal, timber or concrete. Timber and metal decks are normally sheeted with plywood, OSB (oriented strand board), or sometimes chipboard. This deck is then covered with sarking material, then finally the finishing material to provide weathering. Traditionally, the insulation used is rock wool or fibreglass, placed horizontally between the support members in the deck. Today, though, more people are using blown-in foam insulation. Green roofs are built on this type of structure. Their design and construction must accommodate the increased weight, as must all the supporting structures beneath. Timber rafters will need to be stronger than perhaps normal for the span, and will need to be sheeted with plywood or OSB. It’s also advisable to double the sheeting on the roof to add strength and spread the weight, making for a much stronger roof. The finish is often sedum as it requires little upkeep but intensive roofs, with grass, are also possible albeit usually more expensive due to more complex requirements. Choosing how to finish your roof is an important aesthetic decision. Tiles are man or machine made and are commonly formed of concrete or clay; whilst concrete ones are cheaper they may not always weather as well as clay and can have a shorter life expectancy. Growing in popularity are interlocking clay tiles (around €25/£20 per sqm +VAT as compared to plain clay tiles at around €60/£55 per sqm +VAT), similar in format and design to interlocking concrete roof tiles (around €15/£10 per sqm + VAT) with the advantage of being colour-fast. Natural slate, meanwhile, is probably the hardest wearing of all lasting 100+ years (a wide range imported, often from Spain, with prices ranging from €35/£30 per sqm to €95/£90 per sqm + VAT), whilst composite or engineered slates are a cost effective alternative to natural slate, (fibre cement slates costing around €30/£25 per sqm +VAT) available in many finishes and colours, typically offering structural and colour warranties. As for shingles, asphalt versions are inexpensive and provide good wind and rain protection. Cedar shingles are a more eco-friendly alternative but they need to be treated and fireproofed; they also require quite a bit of overlapping, as with natural slate. Other roof coverings include metal (zinc and lead are on-trend for a modern finish on contemporary builds) and thatch (requires steep pitch and deep overhang). 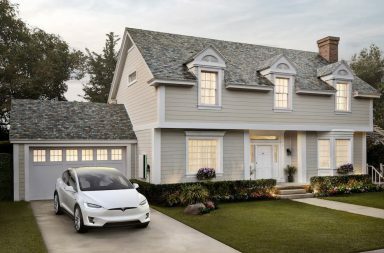 Building Integrated PV (photovoltaic roof tiles) are still in their infancy but are available from Denmark and at the time of going to print, a leading manufacturer had announced it had started production in the US.